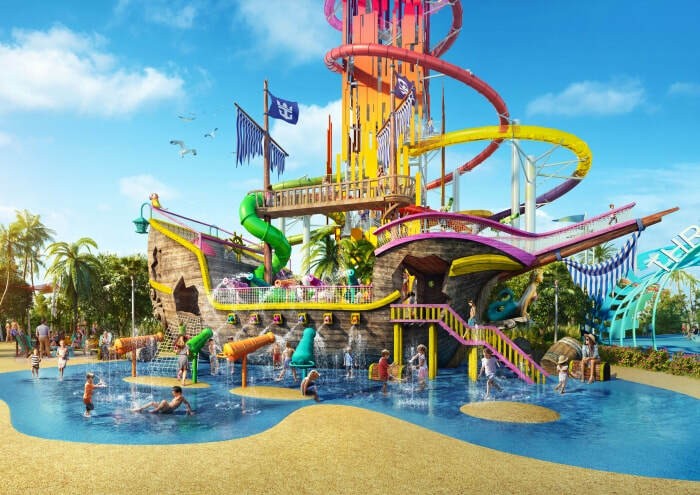 ABOARD SYMPHONY OF THE SEAS_Three years ago, Jim Berra, Royal Caribbean's Chief Marketing Officer, said the cruise line had a vision of what a "perfect day" might be for their guests. Combine their private island, Coco Cay, and $250 million, and that vision is about to become reality. "Perfect Day at Coco Cay" was showcased for media and travel agents aboard this cruise ship, the world's largest. As Royal executives pointed out, the end result is meant to rival any water theme park on land. The tallest water slide in North America. The largest wave pool in the Caribbean. Enjoying the view from a helium balloon 450 feet in the air. 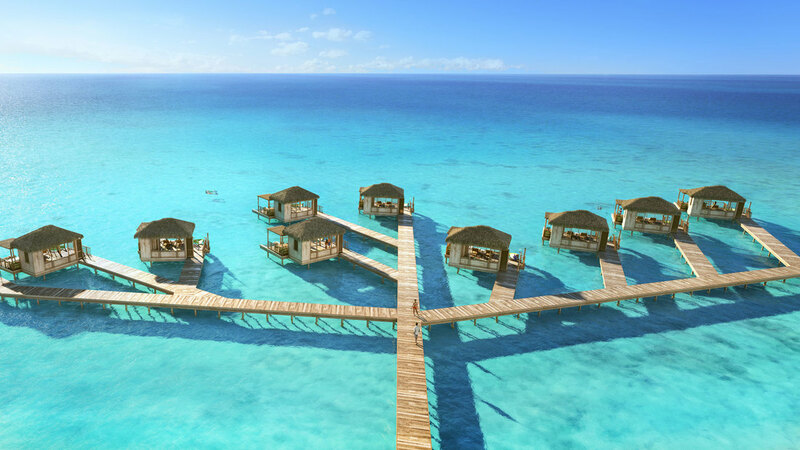 Overwater cabanas at the Coco Cay Beach Club. Snorkel and dine at Chill Island. A 1,600-foot trio of zip lines with options for a wet or dry landing. A galleon featuring 30 water cannons. Oasis Lagoon - the largest freshwater pool in the Caribbean. Live music at Captain Jack's. We got a virtual bird's eye view of what it will be like to take the 12-minute ride to 450 feet in the helium balloon via VR headsets. If it looks this good in VR, guests are in for a real treat. 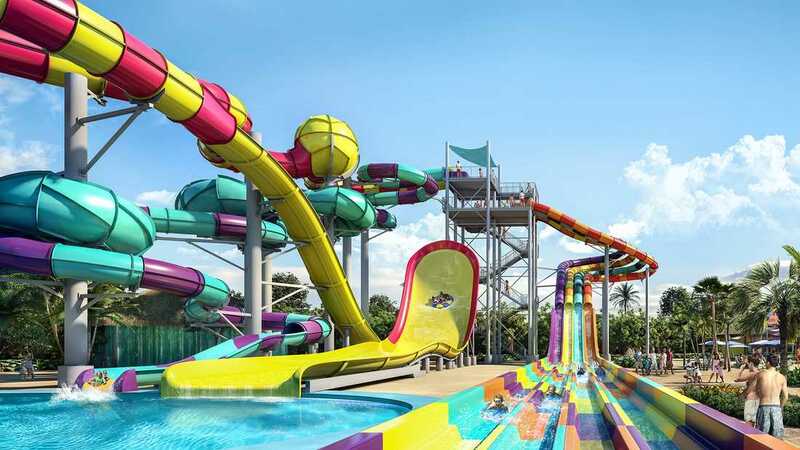 Some features, such as the Coco Cay Beach Club, will be an extra charge, but the majority of the chills and thrills are included with your cruise. Berra said the island can host as many as 8,000 guests at a time. Also, it will be the model for future "Perfect Day" launches in Australia and the Far East. 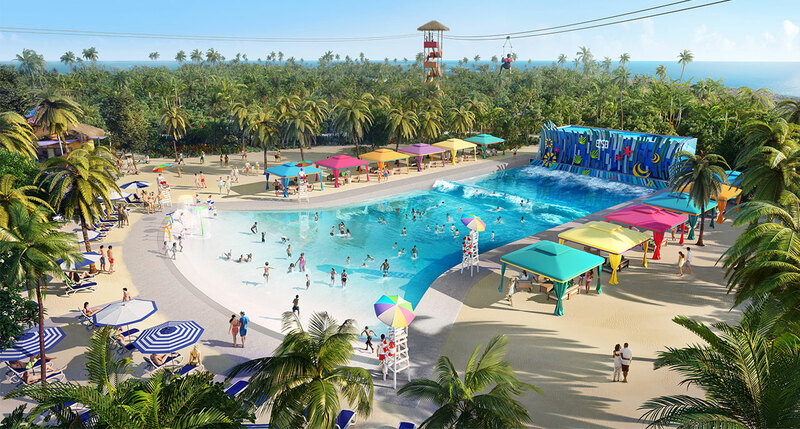 Perfect Day at Coco Cay is scheduled to make makes its debut in May, 2019.